My experience has shown that when people ask "how to wax your car", it is usually more about how to pick the right wax rather than how to physically wax your car. This one area of car care not only happens to be most asked about, but also the single biggest area of bad information and misrepresentation within the industry. What can be a very simple and straight forward area of car care has been filled with an overwhelming amount of choices that has most consumers frozen with anxiety! Darren, Just Give it to Us Straight! The reality is that as consumers we are neck deep in over-hyped marketing and misleading advertising! Any trip down the car care aisle will only confirm this. Unlike days of past where there seemed to be a shortage of information, today we are on information overload! Let's go through this area of car care and dissect the various areas of concern that will not only help you become an informed consumer, but will help you understand the simple and critical essentials of proper car paint care. With advances in modern technology, science, and engineering, the really good news is that waxing your car is easier than ever! It may be helpful to think of car wax as sunscreen for your car; an invisible layer of protection from the elements of nature. While there remains debate as to whether car wax is truly effective in blocking the suns UV rays, the fact does remain that car wax is essential to maintain the health and beauty of your car's paint. Creates an invisible layer that fills and conceals small scratches, blemishes, and imperfections. Creates an invisible and uniformed reflective layer which helps any form of light reflect evenly and better. 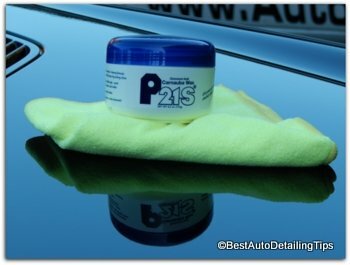 Adds gloss, shine, and depth to your car paint. As the saying goes; you only need to wax your car if you want the paint to last, and you want it to look good doing it. The reality is that you could neglect your car's paint for 3-4 years on a new car and your car would look fine. But then past that point, you would be trying to play catch-up. And and as the saying goes, an ounce of prevention really is worth a pound of cure! 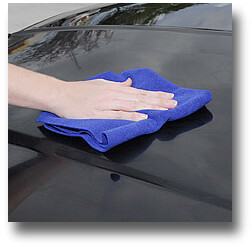 Prepare car paint surface first by removing airborne contaminants. Apply your choice of car wax or paint sealant. While the obvious answer to waxing a car would be to simply follow the manufacturers label directions, the problem is that physically applying and removing car wax from your car is an oversimplification to a more important understanding of the car waxing process. Follow along as I show you how to not only get better results visually, but better results with performance with any car wax you may choose to use. Have car washed first to remove superficial dirt. 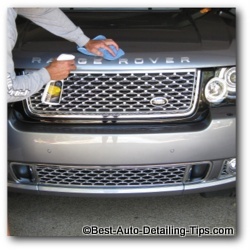 Use detailing clay on freshly washed car to remove embedded contaminants from car's paint. Rub clay bar (detailing clay) back and forth across wet paint surface until paint surface is smooth and contaminant free. Use of clay lubricant is the preferred method for keeping the surface lubricated while using detailing clay. The only way for truly silky smooth and clean paint. 2) Apply Car Wax: Now that your paint surface is silky smooth and contaminant free, you are ready to apply your choice of car wax or paint sealant. (To simplify things in the moment; wax generally refers to any car wax made using some form of natural ingredients like carnauba wax. Paint sealant refers to any product made using synthetic ingredients.) Follow using label directions from whatever choice you have made in car wax products. I will lay out my professional recommendations below for car wax products. Modern day waxes are better and easier to use than ever. 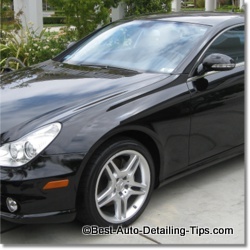 You will get as many answers as there are people when asking which wax is the best car wax. It is better to use a car wax you are unsure of, rather than never even waxing your car because you remain ignorant to which is the "best". If you really don't know which wax to use, use my link to my best car wax review and any of the waxes there will be great place to start. In summary, you have now learned enough useful information to take you very far with maintaining the beauty and health of your car paint. In fact if all you ever did was to wash, clay, and wax your car paint, this would suffice for the life of your car. Unfortunately many people find themselves overwhelmed with a sea of choices and never do anything until dire circumstances; now you are only faced with yet a greater problem! Hopefully waxing your car seems much less confusing and much more doable. Now you can walk away with added confidence that will help get you to take action so that you too can enjoy the pay-off of a freshly waxed car!